We apply the same quality for smaller work as we would more complex jobs. 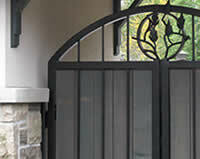 Having a handcrafted creation from Milligan Iron Works will add value to the property and is more satisfying. Home projects will make your property stand out and likely you will have added greater financial value to your home. Expect to receive positive comments from family and friends will be for years to come. 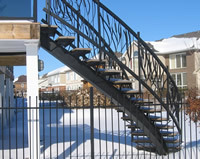 Some examples of home projects may include, window shutters, decorative window and door security ironwork, patio accents, tree protective bases and tables, winding stair cases, trellises and awnings, chandeliers, driveway gates, fences, etc.